This is a gold Mini Star Football Medal, size 60mm. A ribbon for the medal is also available. Please note this medal CANNOT be engraved as there is no space on it. 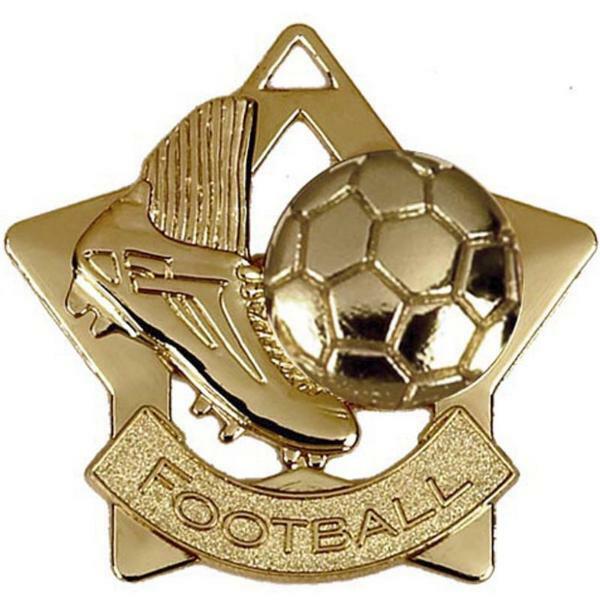 The postage rate for the Mini Star Football Medal is band A.